Hi, folks! 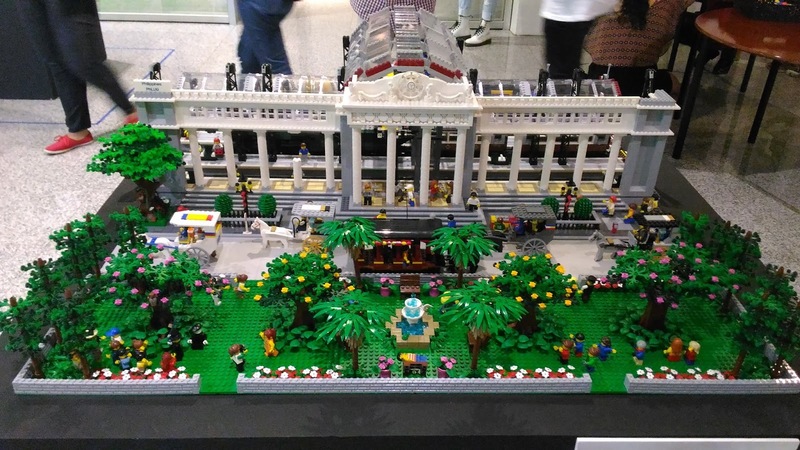 Welcome to another Builder of the Month segment here at Nothing But Brick. 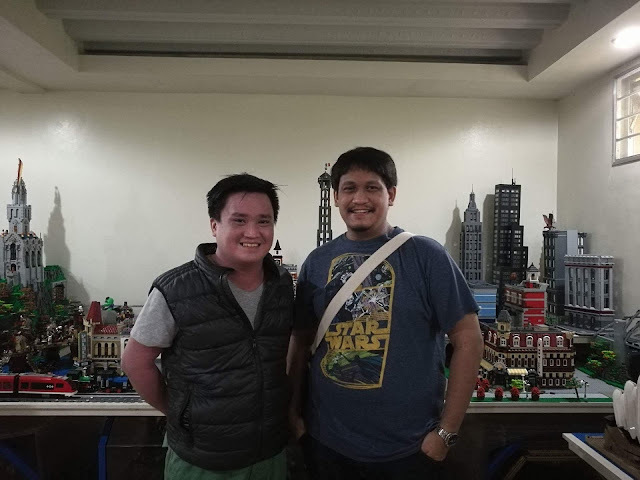 Since it's my birthday month, today's episode will be a bit special since I'll be featuring none other than PhLUG's Randy "Piper" Protacio, the first Lego ambassador of the Philippines. As PhLUG's ambassador, Piper is a strong advocate of encouraging the RLUG's members into MOCcing. As a builder, he specializes in building urban structures. 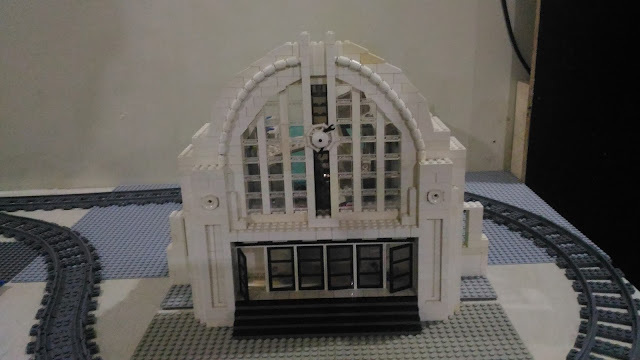 His strength is his capability to translate architectural details found in real life structures into his MOCs, which adds realism to the quality of his work. 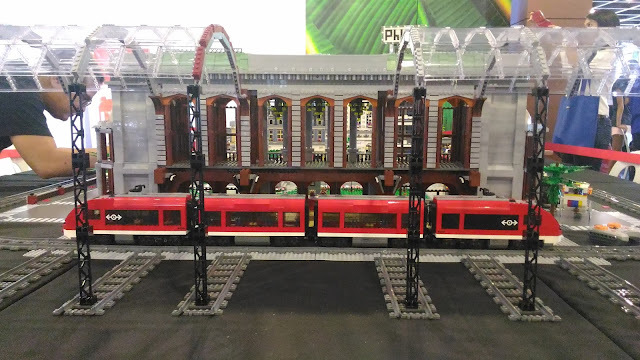 Like most of the builders I've featured in the blog, I've been following Piper's work since I've been attending PhLUG's events and I've never seen him deliver work that's uninspired. Each of his builds are well thought of from the tiniest of details. His keen eye for detail has allowed him to create scale models of existing buildings which are truly awe-inspiring in both picture and in person. Piper's use of repetitive patterns in his builds is what brings life to his work. I think it takes a lot of building experience and a whole lot of bricks to pull this technique off. 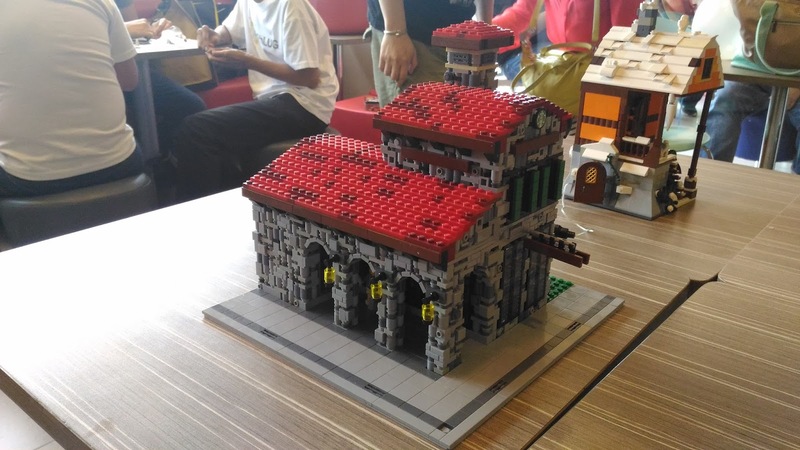 Seeing his MOCs at brick events makes you appreciate these details and at the same time recognize the time and effort he spends to perfect his work. Read on to learn more about Piper's Lego experience. Discover what inspires his builds and how he does them as well. Last but not the least, read about what he considers as his greatest achievement as a MOCcer. I have been collecting Lego since birth -- didn't go thru a dark age. Lego is my first toy, in fact, a set had been waiting for me even before I was born. My earliest memory with it would be a building session where I made a red house with plenty of windows. It's a tight race between classic space and modular building. The first set I bought from my own money would be the Res-Q headquarters. 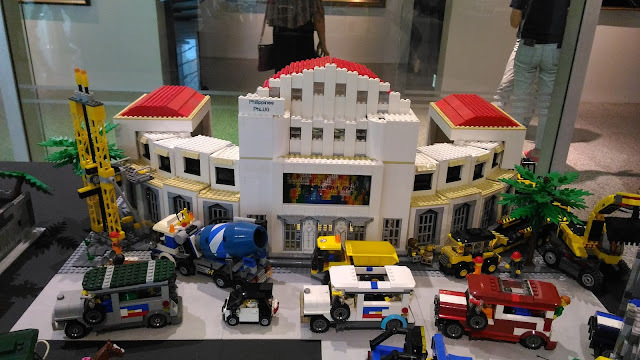 On Peso scale, it would be the Grand Carousel that's of highest value but on the sentimental side, it would be my first Lego set. My collection is funded by work as a contractor -- builder in both hobby and real-life. Early on, I bought them from Hobbes and Landes, hence my exhausted VIP card. A good amount was acquired overseas, clearance sales and recently a lot of lose bricks thru PhLUG privilege. The current house where it is located, was built with the collection in mind. A basement with more than enough closet shelves built for the purpose. Storage is always insufficient, but using covered trays to sort colors and elements is helpful. While small parts can be sorted by using drawers you can find at the local hardware. I sort by color and by element. I started with MOCs... then the sets followed. The earlier Lego sets were just assorted bricks and they left you to build from your imagination. I believe that the nature of the system compels you to build from scratch. An idea usually comes to me in two ways. Either I find a "seed" part where the whole build begins, or by a structure/idea which I think could be translated to Lego bricks. Conceiving a build usually takes longer than the actual process of putting it together. I'd say: One week to imagine, one day to build. There's a "soundness" to the build that is hard to explain... but I find satisfaction by looking at real-world color combinations, new part use, closeness to reality. But it's best when you hear someone else say that: "...I recognize that!... or that looks like...". Being identified for what it is is an indicator that it's built right. I'm into landscapes -urban, rural, natural. I think I'm inclined to follow architectural periods - classical, art deco. MOCcing is a solitary process, but there are times when you need to be with a team of people to make bigger projects. Having the time to do both is the challenge. To get things done as soon as possible solves the problem. Imagination is key. A MOCcer sees things differently. Show him a part and he'll give you dozens of different ways to use it. On the physical side, an uncluttered work space and good lighting helps improve MOCs. Always build. Practice always helps. Finding like-minded individuals and gathering them in a group is my biggest accomplishment. Just build! To create, to have fun and to inspire! Special thanks for Sir Piper for letting me feature him here on Nothing But Brick. The Waifu and I were both very fortunate to have a tour of Sir Piper's very own brick city, Legolopolis! Will be doing an entry about that soon so stay tuned! By the way, today's the last day of joining the giveaway. Make sure you already submitted your entry. Good luck! Celebrating the Chinese New Year at BxB 7.0! Nothing But Brick's 2nd Giveaway!